Why choose D&G Carpet Cleaning? 7 Things that make us different!!! 1. We have Price List. 3. We Have short arrival window. 4. We put Shoe Covers. 5. We do Deep Steam Cleaning / Quick Drying. 6. We use only Children and Pets Eco Friendly Products. 7. We are Family Owned. We pay extra attention to our job. Satisfied customers is our number one priority. Our steam carpet cleaning method will leave your carpet cleaner, brighter, and free of stains, dust, allergens and pollutants. 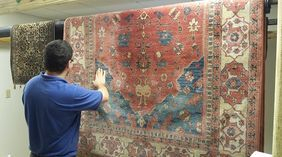 An innovative way to deep clean and refresh your fine and oriental area rugs at our off site cleaning facilities. 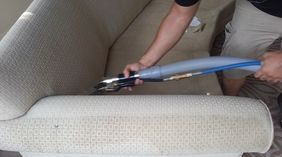 D&G's upholstery cleaning service will extend the life of your furniture and improve the air quality in your home. Our specialists will clean, restore, and protect your tired looking tile and grout floor. We will remove and neutralize any type of pet odor. We'll improve the air quality in your home. 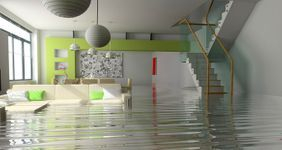 Water damage problems? D&G is always there when you need us. Any time of day. I had such a pleasurable experience with D&G Carpet Cleaning. I sent out two of my Oriental Rugs for cleaning.One was wool and the other one was a small silk rug. Clean, articulate, professional and Kind were the two great guys who came to do the work. They explained thoroughly how they would be cleaning the bedroom wall to wall, bright white shag area rug and Dining room area rug. Decided to have the carpets cleaned before hosting Christmas, found these guys on Yelp and gave them a shot. Making the appointment was easy and they showed up as expected. After they finished, the carpet looked way better than before. You can also read more D&G Carpet Cleaning Reviews on our customer review page. What Makes Our New Orleans Carpet Cleaning Services Special? If you are a new client, you should know that at D&G Carpet Cleaning, there are many things that make us different. Getting your carpets, rugs, upholstery or tile and grout cleaned is one of the most effective ways in which you can promptly enhance the general appearance of your space. Our expert carpet cleaners in New Orleans are educated, geared up and experienced to make your carpets shine. By choosing our services, you are choosing quality above all. So, what are you waiting for? Need professional carpet cleaners in the New Orleans area? D&G Carpet Cleaning is your answer. As one of the top-rated professionals in the area, we are here to remove any embedded dirt and grime from deep in your carpet. Through our advanced technology, we will clean your carpets in a better way than steam cleaning, using less water and a safe and non-toxic equipment. As such, our carpet cleaning process is safe for homes with babies and children - just as it is for commercial projects, offices and any places with pets, children or people with allergies. We are proudly serving New Orleans and the surrounding areas with quality carpet cleaning, rug cleaning and upholstery cleaning services. By clicking on this link, you can explore all of the services that we offer. At D&G Carpet Cleaning we are proud to offer our service, combining experience training and the latest carpet cleaning techniques and equipment. Our cleaning process offers dirt and spot remover while preserving the carpet fibers. We use professional grade cleaning solution that penetrates to the bottom of your carpet’s fibers loosing and lifting embedded soil. Another important step in our process is that use PH balanced rinsing agent to help your carpet stay longer cleaner. We also offer expert cleaning of different type of rugs from around the world. We are expert at treating both natural and synthetics fibers with our gentle to the rug fibers cleaning solutions. It doesn’t matter if you rug is syntactic machine made, handmade Oriental, or antique piece, it is in safe hands with our professional cleaning process. We promise thorough yet gentle cleaning to the fibers of your area rug. Our rug cleaning facility is fully equipped to handle all types and sizes area rugs. For customer convenience we offer free pick up delivery from you home to our facility and back. Our professional upholstery cleaning service will restore the color and the beauty of your sofa, loveseat, chair and extend their life. Upholstered furniture that lost its bright and clean look can create a bad impression of your home or business. D&G will help you to keep your upholstery beautiful. With the correct cleaning techniques and products your furniture will dry quickly and be ready to use in no time. D&G’s professional Natural Stone and Tile cleaning removes the dirt and bacteria that can spread germs. With our efficient cleaning process your home will sparkle and be safer for your family and pets. Our experts use powerful deep-cleaning extraction equipment to flash away and remove the dirt and build-up. We will make you home cleaner and healthier. It's Our 30-day, 100% Clean Guarantee. We seek to develop long-term relationships with our customers. We strive to make every customer happy. 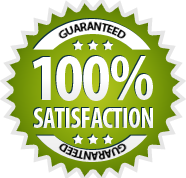 We guarantee to clean your carpets or upholstery to your complete satisfaction, or we will return and re-clean at no cost. It's our 30-day, 100% clean guarantee.